The Township Clerk is the liaison between the public and the governing body. The Clerk is appointed by the Township Committee to a three year term of office. Responsibilities include receipt of all communications addressed to the Township Committee, attendance at Committee meetings, production of minutes of the Committee meetings, advertisement of Committee hearings, meetings, and actions, registration of new voters, receipt of nominating petitions and administration of primary, general, and school election, processing of applications and permits pertaining to liquor licensing, raffles, and bingos and landlord registration. A Deputy Clerk assists the Clerk and acts in his absence. The Deputy is appointed annually by the Township Committee. As a courtesy to the residents of Green Township several members of the administrative staff are Notary Publics. This service is available during normal working hours Monday through Friday from 8:30 a.m. to 3:30 p.m. Please call 908 852-9333 for availability. Please Note: A Gold Seal is a specialized service that cannot be provided by the Township. Please contact your local banking institution if you require this service. The Township Clerk is the Chief Registrar of voters in the Township and serves as the Chief Administrative Official of Elections in the Township. Please contact the Township Clerk for more information. Voter registration forms are available on the Sussex County website. Voter Registration Application - Last day to register to vote in the Primary Election is May 14, 2019. Last day to register to vote in the General Election is October 15, 2019. Mail form to the Sussex County Board of Elections, 83 Spring Street, Suite 305, Newton, NJ 07860.
for the June Primary is April 10, 2019. Mail this form to the Sussex County Board of Elections, 83 Spring Street, Suite 305, Newton, NJ 07860. Mail-In-Ballot Application - Last day to apply by mail for a Mail-In-Ballot for the General Election is October 29, 2019. Mail this form to the Sussex County Clerk's Office, 83 Spring Street, Suite 304, Newton, NJ 07860. 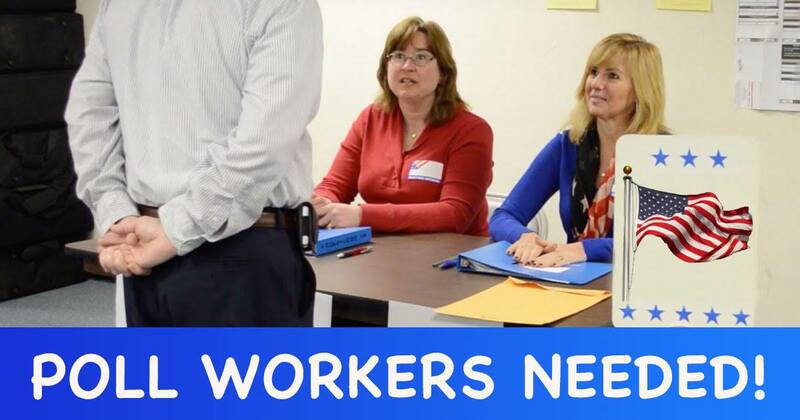 POLLWORKERS NEEDED! Have fun and get paid while participating in democracy. Training classes are being scheduled now - call (973) 579-0950, extension 4 or email SussexPWInfo@gmail.com for more information. Requests to review records files or for copies of records may be made to the Department Secretary. Please be as specific as possible so that we may assist you. Requests for copies of records under the Open Public Records Act (OPRA) should be directed to the Township Clerk. click here for OPRA request form.